I still shudder at the thought of having to choose a reading assignment from among the multi-colored tabs in the big box of reading assignments at the back of my elementary school classroom. Here I was facing thirty-two rural seventh graders, not knowing what to do. It was necessity that started to hatch a plan in the back in my head. The school didn’t have the money to buy new workbooks for every student, but I knew a series of ten workbooks that cost only a dollar each. Each book contained forth lessons. The plan and work method of the lessons were pretty much alike across all levels. By cutting these books up into separate lessons and putting each lesson in a folder, I could let each student complete a folder and pass it on to the next student at that level. Next day, another student could use the same folder. And if the written work were done on a separate piece of paper, the folders would always be reusable. Being ignorant of what a teacher should do (after all, I was a psychologist), I didn’t correct the students’ work. Instead, I made keys so that they could correct their own work each day. And of course, I had to put all that stuff in something, so I found an old tomato box. To avoid embarrassing anyone, I didn’t designate the levels by grade numbers, but instead colored a band around the edge of each folder. The students would say “I’m working in green” (or orange, or purple, or whatever). There were ten color-coded levels. To give students still more responsibility for their learning, I had each one keep a chart of his or her daily progress. When the chart showed that the student was maintaining high comprehension, vocabulary, and word-analysis scores, it was time to move up to a higher color-level. 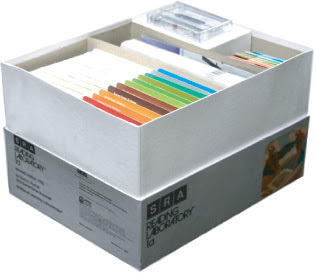 The SRA Reading Laboratory Kit was first published in 1957, with a suggested sale price of $39.95 per box. IBM acquired SRA in 1964. It sold SRA to Maxwell Communications Company in 1988, and when the latter tried to stage a hostile takeover of CTB/McGraw-Hill the following year, the SRA assets became part of a new company, Macmillan/McGraw-Hill. McGraw-Hill continues to publish the SRA Reading Laboratory – in print and as software – to this day. Over 127 million children have used the product. “SRA Reading Laboratory 2.0 is an interactive, personalized reading practice program based on the classic SRA Reading Laboratory print program created by Don H. Parker, PhD. now featuring innovative 21st century digital and social skills.” -- so say the marketing materials for the current version of the SRA software, invoking many of today's most frequently used buzzwords: "21st century," "interactive," "personalized." Those "classic" SRA cards, so popular in classrooms in the 1960s and 1970s, were clearly not “ed-tech.” Yet we can see in the product some of the motivations behind many teaching machines, both new and old. 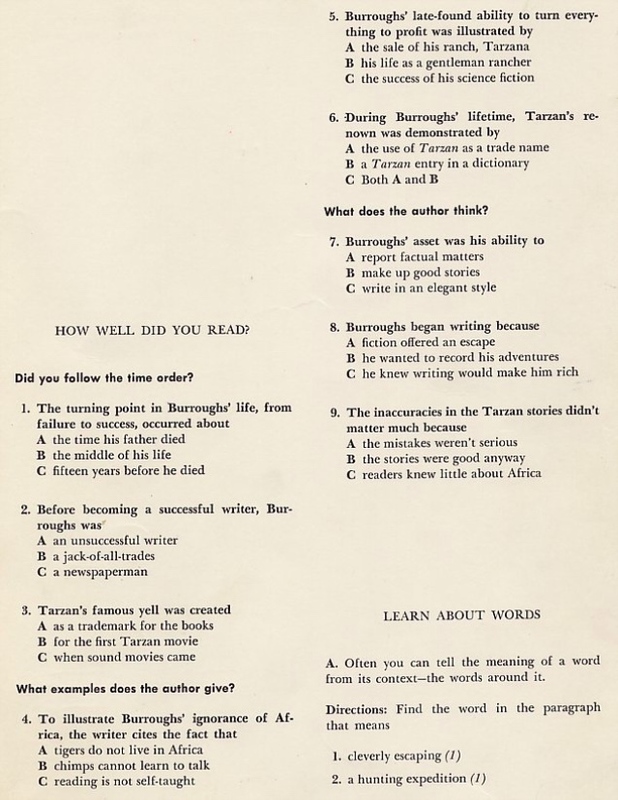 While the old SRA cards were not programmed instruction via machine, they were still programmed instruction in terms of process if not philosophy: a fixed set curriculum – fiction and non-fiction reading passages (and later math and science content) for every grade level – designed for students to move through systematically and have their progress and their good behavior rewarded along the way. The product is called "laboratory," but the experiments with reading, quite limited, quite scripted. Me, I don’t share that fondness. 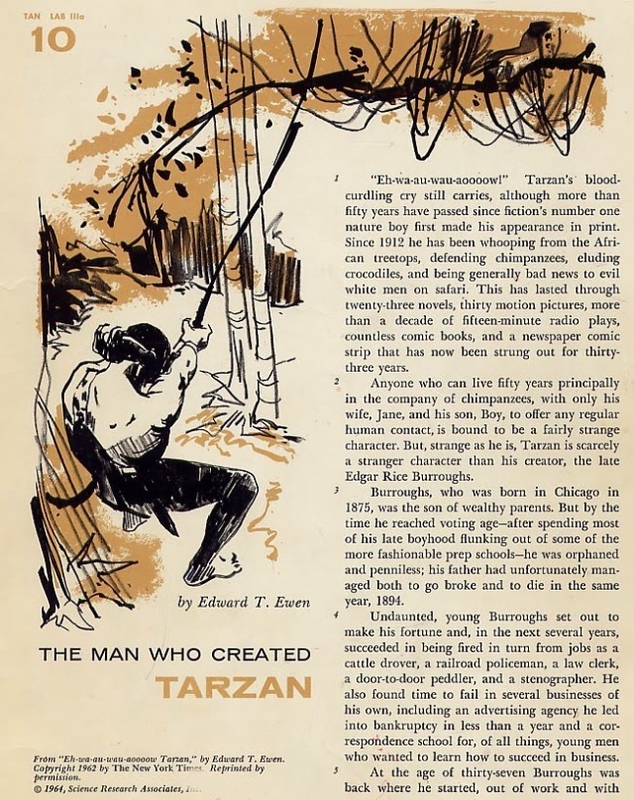 I remember thinking mostly that the reading passages were incredibly dull. The behavior I learned: burn through the cards as quickly as possible and once you finish the last color – was it purple? – the teacher shrugs and lets you choose your own reading.